Senior editor-at-large, Fortune Magazine, & author of Talent is Overrated. The business environment is changing in historic and profound ways – competition, technology, government’s role, and the balance of global economic power are shifting massively — and it’s happening fast! Successfully navigating the tumult is every leader’s great challenge today. For this talk Geoff draws on his unique perspective rooted in long-standing relationships with the world’s top leaders in business and government. He knows what they’re seeing, thinking, and planning and reveals how they’re leading, making choices, and responding to today’s challenges in ways that others can learn from. In a presentation that’s as relevant as the day’s headlines, Geoff explains what’s important, what isn’t, and what’s next – offering audiences specific strategies they can put to work right now to navigate the future. It’s what everyone wants to know: where’s the economy going? Today’s economic environment is more volatile and uncertain than at any time in memory: the BRICs are slowing, America’s growing, Europe’s a question mark; technology is upending whole industries; surging demographic changes are creating new challenges and opportunities; governments are playing a larger role than ever. And it all changes by the day. Geoff offers fresh economic insights that get ahead of official statistics to uncover what’s trending. Engaging, energetic, and topical, Geoff helps his audience anticipate the future more clearly. 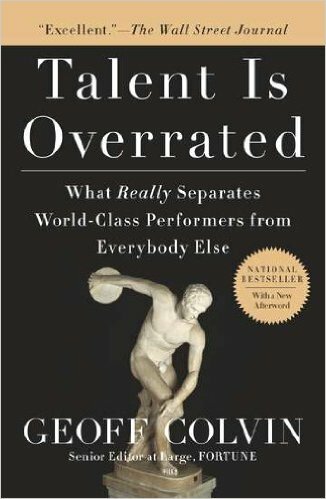 What if everything you know about raw talent, hard work, and great performance is wrong? Scientific research on great performance shows that what most of us believe is off-base – which means most of us will never perform as well as we could. Geoff Colvin, author of the groundbreaking international bestseller Talent Is Overrated: What Really Separates World-Class Performers from Everybody Else, explains the findings and relates them to real life in real organizations. He shows how most organizations value the wrong things – that passion, honesty, and learning are more valuable than hours, IQ, or “native ability.” Geoff demonstrates that world-class performance comes from behaviors that every person and organization can adopt. Those who apply these principles gain a tremendous advantage. For centuries, technological innovation mostly complemented human labor by creating new and better jobs, facilitating higher living standards and better wages. But technology is now capable of doing jobs that we once thought could only be performed only by humans – driving cars, unpacking boxes, writing articles, detecting emotions, even analyzing legal documents – the list is growing every year. In a world of robots and smart machines, what is the future of work? Where will humans add value? How will companies compete? Interestingly – the answer lies in people acting more like . . . people – and not like machines. This isn’t just theory. Ask employers what skills they’ll need most in the next 5-10 years like the Oxford Economics research firm did and the answers that come back are those that focus on social interaction: empathy above all, collaboration, storytelling, social sensitivity, brainstorming, creating and innovating with others and leading. While technology will undoubtedly continue to advance into areas and skills that we cannot yet imagine, these leaders know that these skills can create a tremendous competitive advantage – increased customer loyalty, innovation and cultures of engagement. The transition to the newly valuable skills is happening faster than corporations, governments, education systems and most psyches can keep up with. That’s disorienting – and it will get more so. In this presentation, which is based on the ideas outlined in his latest book, Humans are Underrated, Geoff talks about what top organizations – the Cleveland Clinic, Facebook, the U.S. Army, Stanford Business School and others – are doing to build and train for the workforce of the future. If all this sounds worrying, it shouldn’t. Colvin contends that people have spent centuries learning to work better than machines could. That era is ending. Machines do lots of work better than people do. Now there’s the opportunity to focus on what people do best – be human. There’s a real opportunity here. But it’s a fundamental shift and leaders, organizations and workers who are most prepared will fare best. The good news is that people already have what it takes – it’s up to us to make of it what we will. It’s one of the most striking trends in business today: companies feeling frustrated that the tremendous abilities inside their organizations – the knowledge, creativity, and innovation – aren’t being combined as one to deliver knockout products and services that leave competitors wondering what hit them. For most businesses it’s a huge missed opportunity. Yet a growing number of companies, as varied as Ford, Apple, Lego, Amazon, and Hershey, have cracked the code and are achieving extraordinary success as a result. Geoff explains how they did it and how you can too – before your competitors beat you to it. 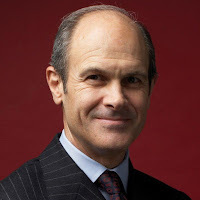 Geoff Colvin is an award-winning thinker, author, broadcaster, and speaker on the most significant trends and issues impacting business and the economy. As Fortune magazine’s Senior Editor-at-Large, Geoff has an insider’s perspective fueled by long-standing relationships with the world’s top leaders in business and government. He knows what they’re seeing, thinking, and planning and reveals how they’re leading, making choices, and responding to today’s challenges in ways that others can learn from. In his fourth decade at Fortune, Geoff Colvin’s breadth of experience is impressive. He is one of journalism’s sharpest and most respected commentators on leadership, management, globalization, regulation, corporate governance, competition, the economy, the infotech revolution, human performance and related issues. Geoff’s regular column and frequent cover stories in Fortune have earned him millions of loyal readers. His “On Leadership” series, which appears online on Money.CNN.com, provides a compelling look at what top leaders are doing to navigate uncertain times. Geoff is also one of America’s preeminent business broadcasters. He is heard every day on the CBS Radio Network, where he has made over 10,000 broadcasts and reaches seven million listeners each week. He has appeared on Today, The O’Reilly Factor, Good Morning America, Squawk Box, CBS This Morning, ABC’s World News Tonight, CNN, PBS’s Nightly Business Report, and dozens of other programs. He served as anchor of Wall $treet Week with Fortuneon PBS, he spoke each week to the largest audience reached by any business television program in America. As a keynote speaker, Geoff has a knack for bringing clarity to the most important and complex issues impacting business and the economy. He has spoken for scores of corporate and association conferences on six continents including dozens of high level Fortuneconferences. His speeches pull together timely insights and strategies and are tailored to deliver relevant insights that help leaders understand what the future holds. In addition to speaking Geoff is also a brilliant panel moderator, emcee and interviewer whose subjects have included Jack Welch, Henry Kissinger, Richard Branson, the Prince of Wales, Bill Gates, Alan Greenspan, Steve Case, Tony Blair, Michael Dell, Ted Turner, George H.W. Bush, George W. Bush, Henry Paulson, Ben Bernanke and many others. Geoff is a respected author whose groundbreaking international bestseller, Talent Is Overrated: What Really Separates World-Class Performers from Everybody Else, has been published in a dozen languages. 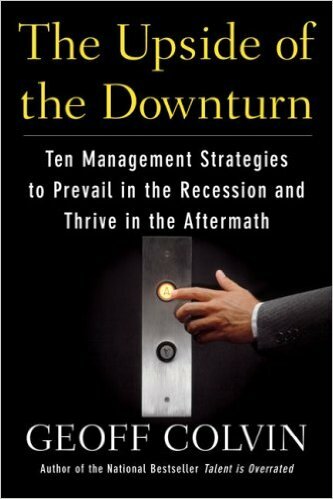 The Upside of the Downturn: Management Strategies for Difficult Times was named “Best Management Book of the Year” by Strategy + Businessmagazine. 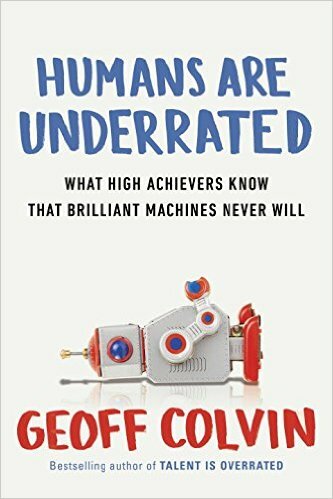 Geoff’s latest book (August, 2015) is called Humans are Underrated: What High Achievers Know That Brilliant Machines Never Will. It’s based on the idea in his wildly popular article in the 2014 Fortune 500 issue – “In The Future Will There Be Any Work Left for People to Do?” It looks at the trend of technology displacing more jobs than it creates and the ways people will create value for their organizations and their careers in the changing economy. The ideas have profound implications. A native of Vermillion, South Dakota, Geoff Colvin is an honors graduate of Harvard with a degree in economics and has an M.B.A. from New York University.